The annual Nursing, Midwifery and AHP Research Conference was held 18 May on the Cambridge Biomedical Campus. 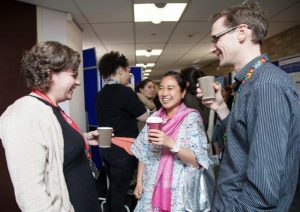 This year’s theme: ‘Research and Practice: Making the Connection’ was well illustrated in the presentations and posters on the day. 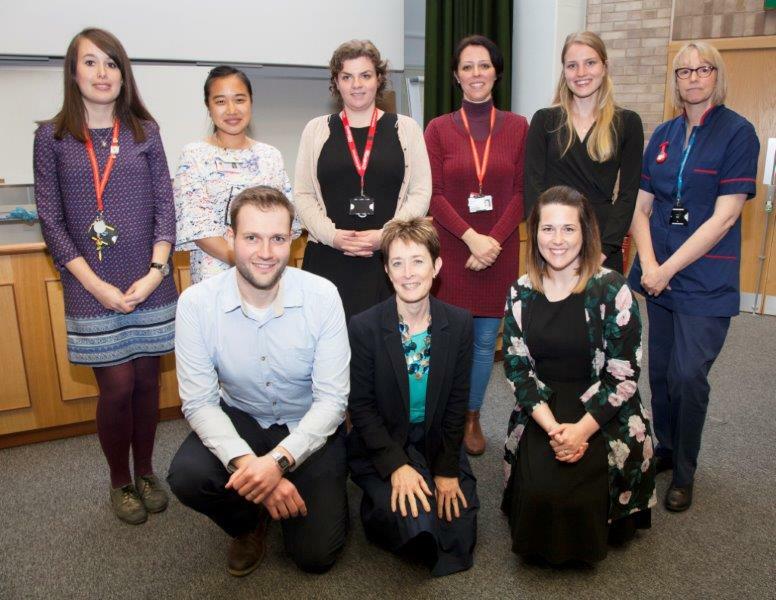 Professor Maggie Shepherd from Exeter began the day with an inspirational keynote talk that educated the audience about monogenic diabetes and the exemplary research that she and the team in Exeter are conducting with patients with this condition. Maggie discussed her research bringing patient and family experiences to genetic testing and changes in treatment, which demonstrated the value of multi-professional research teams bringing different perspectives and questions to a programme of research. Two themes resonated throughout the conference: listening to patients and the importance of questions arising from clinical practice. In the keynote, Professor Maggie Shepherd noted how chance patient comments and singular cases led to important research discoveries. Dr. Angela Madden (dietician, University of Hertfordshire) described her ‘journey from patients to research and back again’ and again emphasised the importance of patients’ perspectives and addressing clinical practice questions. The exciting potential of the UK Midwifery Study System to enable national studies of uncommon conditions and events in midwifery units was presented by Jan Butler, consultant midwife at CUH. Two rapid-fire sessions (10 minute presentations) of research from staff at Cambridge University Hospitals and Papworth Hospital showed the depth and breadth of research being done: from high altitude studies and research on rare diseases to common and important problems such as hydration in the elderly, toxicity from radiotherapy, and providing quality care to those with learning disabilities. Another rapid fire session was provided to describe various learning opportunities to develop skills and knowledge in research and fund higher degrees in research. The posters were equally diverse and exciting with topics ranging across multiple areas of clinical practice and education, and different locations. Antonella Ghezzi won the best poster prize for her poster titled: ‘The NAFLD International Project: A Practice Evaluation of Health Professionals’ Experience in the Management of Non-Alcoholic Fatty Liver Disease in the UK and India’. Many thanks go to the panel of judges who graded the posters. And finally, one of the biggest benefits of the day was the networking and participants finding new colleagues with similar interests in particular methods, patient groups or research topics. Connections were made, and ideas discussed by more than 125 participants. Participants became more aware of various opportunities for developing as a researcher available to them, and of the growing number of nurses, midwives and allied health professionals active in research locally. Thanks go to many people: Annette Aylward for organisation of the day, the Clinical Research Leadership Group for planning and support throughout the day, the presenters, chairs of sessions, and to all the participants.